Unwanted hair can ruin your confidence and make you feel less beautiful. Aside from the facial hair, there are also parts of the body where you should consider removing some hair. Since not all women can afford to go to the dermatologist’s office for a costly hair removal session, you should consider doing it by yourself then. For this post, we are going to review the top 10 best hair removal systems in the market. Each product has its own set of advantages and disadvantages along with features that you should consider before you hit the buy button. Thanks to the Remington iLight pro hair removal system, you can achieve a smoother skin without burning a hole in your pocket. Worry no more because it is effective in removing hair and had been approved by FDA. It utilizes Proprietary ProPulse technology. Results can last for up to six months, allowing you to save money in the long run. 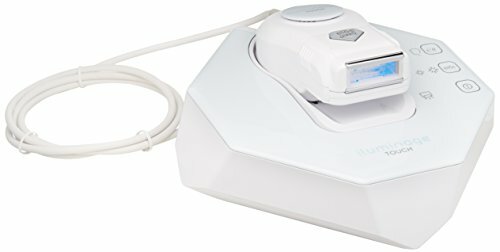 This model can offer one of the fastest treatment times with a speed flash rate and no downtime for recharging the device. It has an integrated skin tone sensor, making it an ideal device for those people with sensitive skin. The device also features skin contact sensors, five energy levels, and note that it’s a corded operation. Next, we have the Philips lumea hair removal system that will help you to prevent hair regrowth in just one treatment. Observe the visible hair reduction upon using the product. Thanks to its SmarSkin technology with UV filter, safety skin tone sensor, and cool to the touch pulses, you can achieve optimal comfort and convenience when using the device. This device is engineered to last for a long time. With over 200,000 flashes, you can have a full body treatment for up to four years. You also don’t need to buy replacement lamps in the long run. If you have light to medium skin tone, this product is one of the best choices in the market. 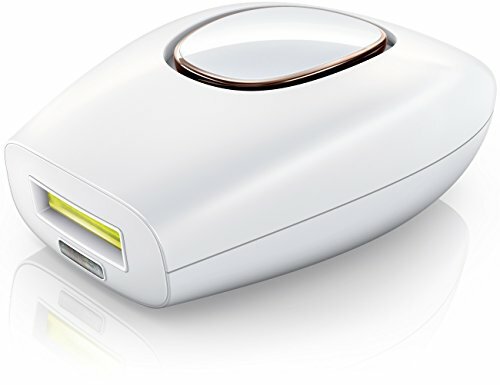 Check out this professional grade home hair removal device from Silk’n Flash & Go. This device is designed by physicians, allowing you to achieve optimal convenience and professional results at your own home. Now you can achieve a smoother and lighter skin thanks to its light pulsing technology that will remove the hair growth at the root. It delivers a quick, painless, and safe operation in every treatment. Now you can avoid skin irritation and possible razor cuts from shaving your hair. Redefine a smooth and flawless skin with the help of this device. It’s loaded with 5,000 pulses of hair removal energy and ideal to use in sensitive skin. Even hard to reach areas can be dealt with using this product. However, note that the results will vary based on the skin type and hair color that you have. If you are willing to spend a few extra dollars, then spend it on the right product! 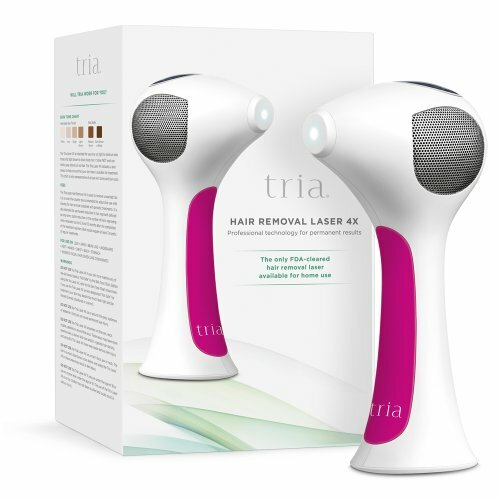 Introducing the Tria beauty hair removal laser for both men and women use. This device is powered by the same in-office Diode laser technology that dermatologists use in their clinics. With its 4x hair removal laser and FDA-cleared construction, you can remove unwanted hair without expensive trips to beauty salons. Thanks to this powerful at-home laser hair removal technology, you can achieve professional results that are three times more effective. It also delivers more hair-eliminating energy to cut half the time you spent in shaving. For best results, you should treat at least every two weeks. This device is best for people with light to brown hair. Iluminage Touch Permanent Hair Reduction Device, 4.1 Lb. The budget-friendly Iluminage touch permanent hair reduction device can provide you with a cutting-edge solution to the smoother skin. It’s clinically proven and safe to use. This hair removal system helps women to rid of various hair removal products and achieve professional results in the comfort of your own home. Now you can treat both large and small areas in just a few minutes. Shaving your underarms, face, legs, and bikini line have never been more comfortable with this product. In only seven weeks, you can achieve up to 94% of hair reduction. Unlike other products, it’s suitable for all types of skin tones and hair colors. Thanks to its RF technology and dual wave IPL, you can achieve a fast and painless operation in the comfort of your own house. Next, we have the MLAY IPL permanent hair removal device in a compact design that allows you to carry it anywhere you want. Save money from spending in beauty salons with this product as it uses Intense Pulsated Light technology to remove your hair. With five energy levels, you can see visible results in just six weeks. Rest assured that this product is 100% safe to use but we highly recommend that you wear goggles while on the process. Sold at a reasonable price, enjoy 120,000 plus flashes with 3.9 cm size window treatment area. Achieve full body permanent hair removal without burning a hole in your pocket. It’s fast, easy to use, and requires little to no maintenance. Instructions are clear especially for first-time users. The IPL hair removal system offers a painless permanent IPL hair removal for both men and women use. Its engineered compact design makes it suitable for both home and commercial use. This clinically proven device can take up to 82% less hair in just a month after eight sessions. If you want to achieve full body hair removal including your bikini line, armpits, and legs, you should consider this product. It has an exclusive skin detection and is suitable for most skin types. Its advanced technology will remove the root of the hair so you won’t keep on shaving in the long run. The melanin absorbs the heating. Also, buyers can enjoy up to two-year limited warranty upon purchasing the product. Have an extra budget for your beauty regimen? 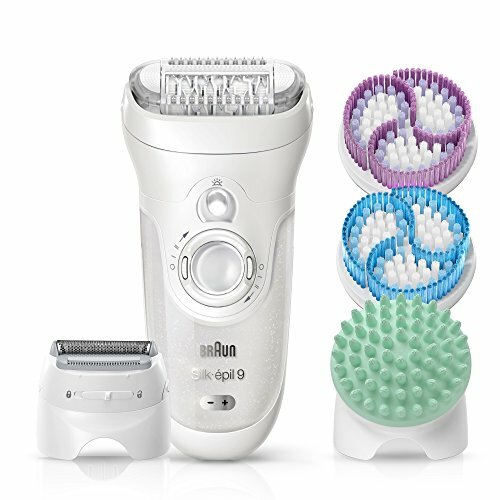 Check out the Braun women’s epilator that features two exfoliation brushes and a complete skin care system. 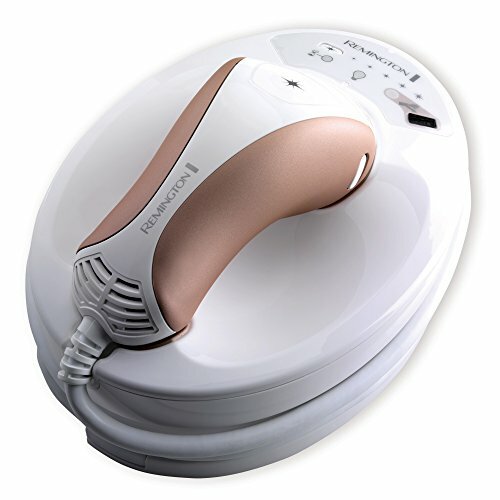 This wet and dry epilator can get rid of hair in just one stroke compared to other hair removal systems in the market. Even hairs that are four times shorter can be removed as well. Its excellent battery life allows you to shave all you want. It will only require one hour and 40 minutes to get fully charged. Since it’s a cordless design, feel free to use this product while you are in the shower. The two body brushes above can help in exfoliating and reduce the growth of ingrown hairs. This shaver is perfect for use in sensitive areas of your body and bikini lines. 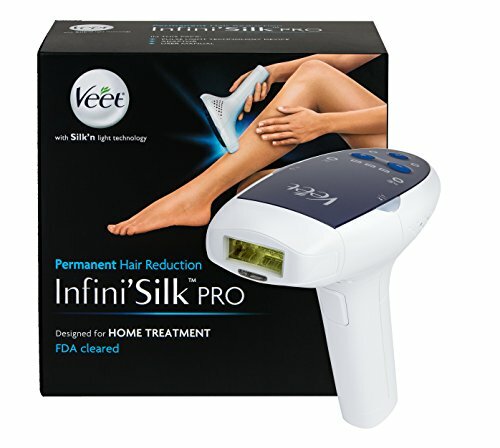 You might want to check out this FDA-cleared hair removal system from Veet. It uses the same technology you can find in most clinics and beauty salons. Thanks to its state of the art technology, you can achieve a permanent hair reduction in just five treatments. For women who want to have full body hair removal that includes armpits, bikini line, and legs, you should consider this product. 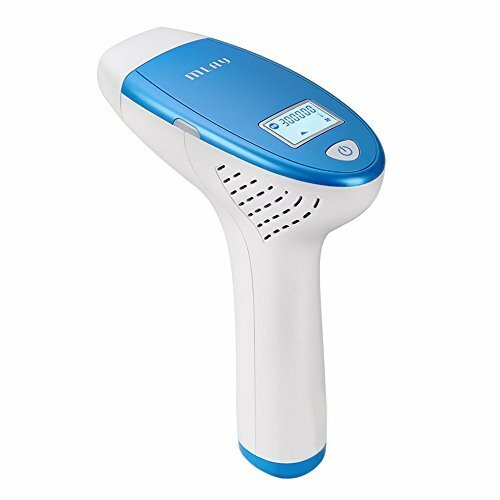 Engineered for both men and women use, this hair removal device has a skin color sensor, skin contact sensor, five light energy levels, and offers corded operation. It’s safe and secure to use in the privacy of your home, allowing you to achieve professional results with continuous use. 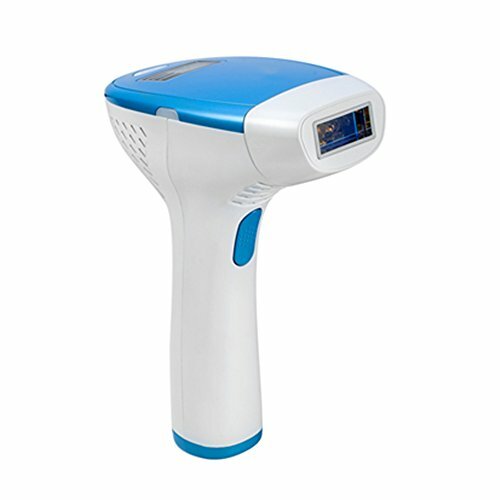 Its pulse-light technology will help you to get rid of unwanted hair and boost your confidence, having smoother skin. Down to the last product! 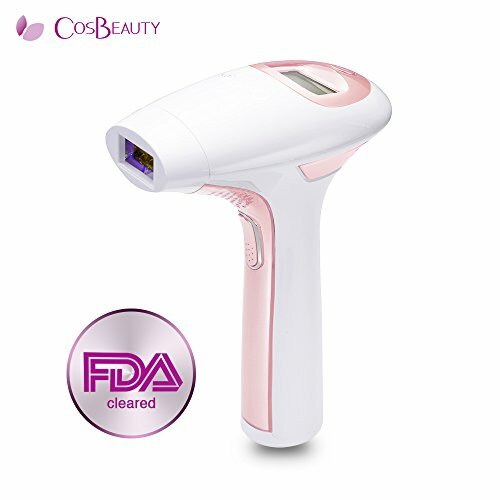 We have the IPL permanent hair removal system from CostBeauty. It is far by the safest IPL technology with FDA certification. Its unique sensor adapt to skin tone sensor will make sure that you use the right intensity for safer operation. You can now treat your armpits or legs in as fast as eight minutes without compromising the quality of the results. Aside from that, during the clinical testing, approximately 94% of women experienced visible results in as early as three weeks. Upon using this product for up to six months, you can achieve a great hair reduction. No more razor cuts, annoying curly hairs on the legs, and costly trips to the beauty salon to achieve a smoother skin when you have this product.